Because you are going to be working on really small things, smaller than the minimum 0.010 meter size of an ordinary prim, you need to use a dark workbench with a backboard. You should also work in an empty space so you can 'loop select' prims. 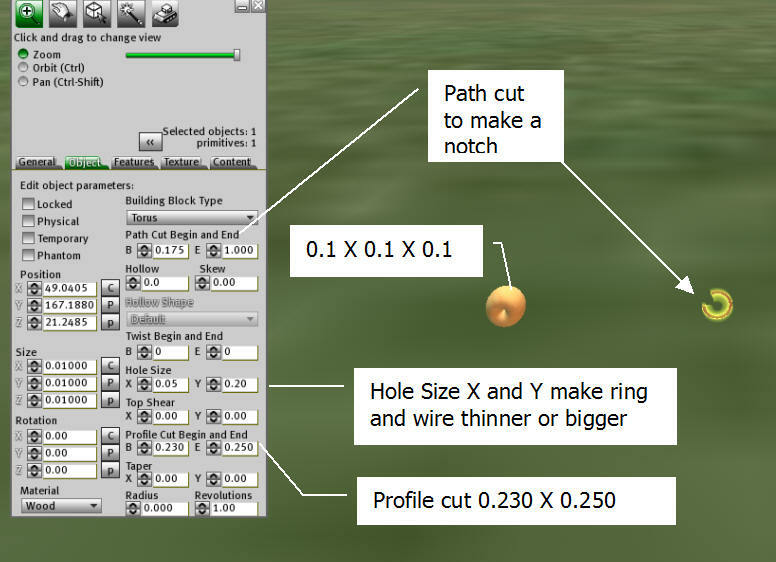 You can fool Second Life into making tinier shapes than normal with these tricks. The smallest size a prim can normally be is 0.010 X 0.010 X 0.010. 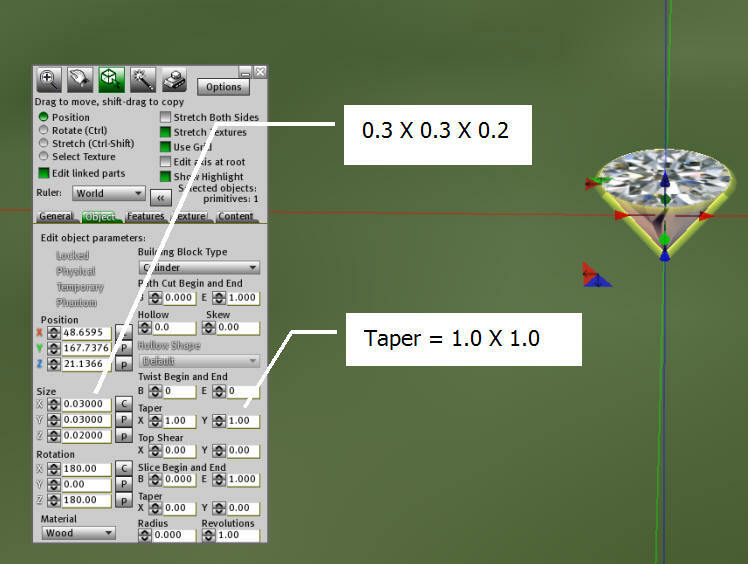 These steps can make objects that are much smaller than that. 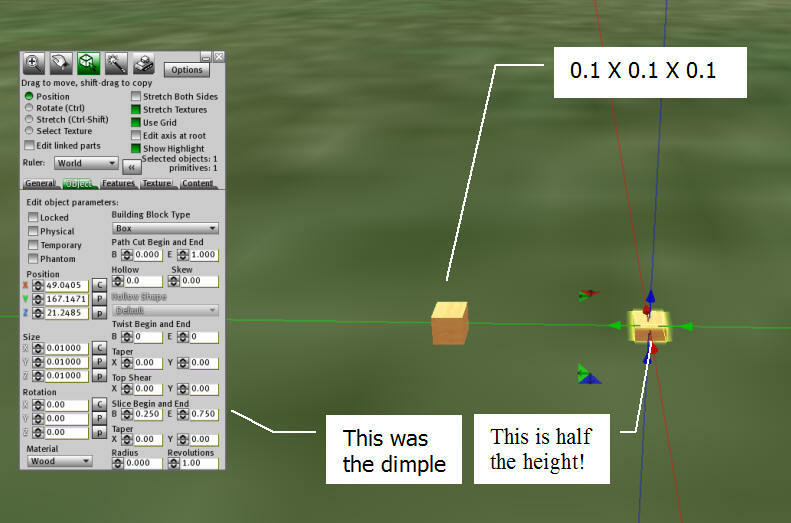 You can make an object appear small by starting with a basic shape, such as a ox, changing it to a sphere, dimpling the sphere, and then changing it back to a box. 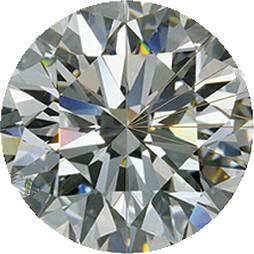 Because the number of sides change, the system can flip the dimpled sphere inside out and shrink the prim smaller than normal. Start with the edit window tab. 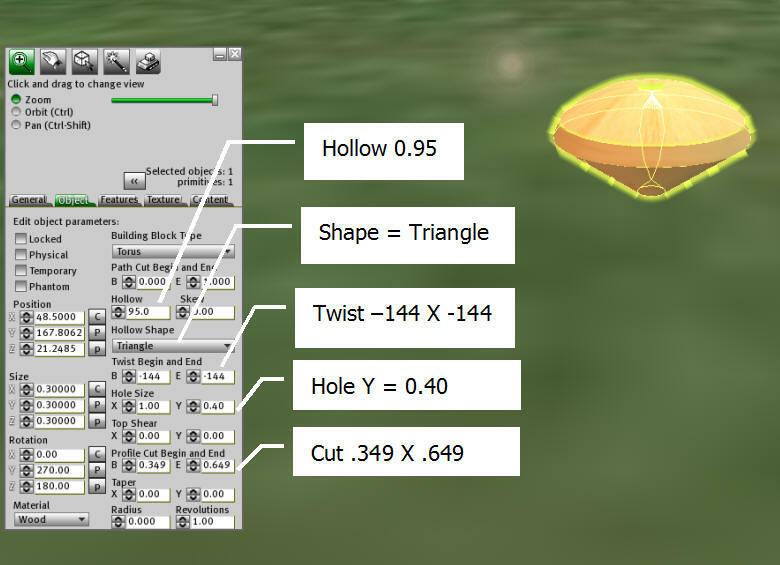 Select the menu where you can select different prim shapes. Start with a cube. Set it to 0.01 x 0.01 x 0.01 meters. Now change it into a sphere. Dimple the sphere to 0.25 and 0.75. If you dimple the top and bottom the same amount you keep the leftover shape centered. if you dimple the top but not the bottom or the other way round you make the new prim top or bottom heavy. Now change back to a cube. It is half the height of the standard 0.1 meyer prim, yet it still says it's 0.01 x 0.01 x 0.01 meters. You can make a cube half the 0.01 meter size. Start with a reasonable size cube, so you can see. There is no need in this trick to make it tiny, yet. 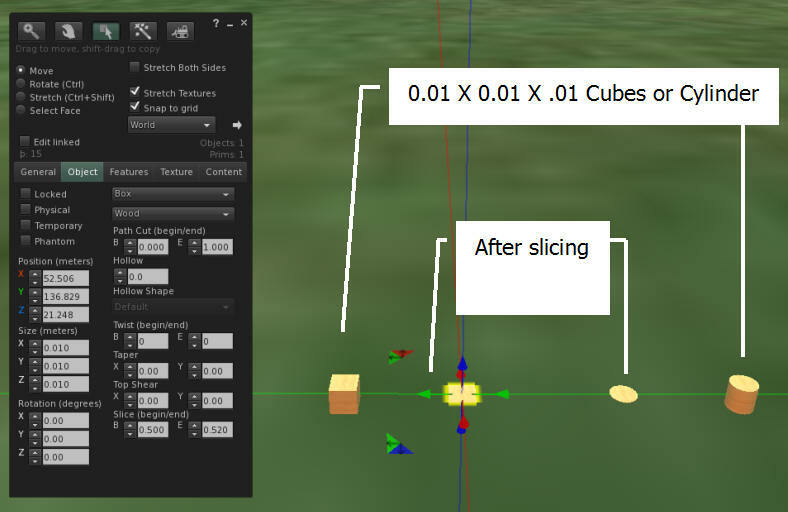 Cut the cube to the size 0.625 and 0.875. Now the cube is 1/4 the original size, but it's too tall.Switch to a sphere, and dimple it to 0.25 and 0.75 (half its height) and set it back to cube. You end up with a cube that's half sized! 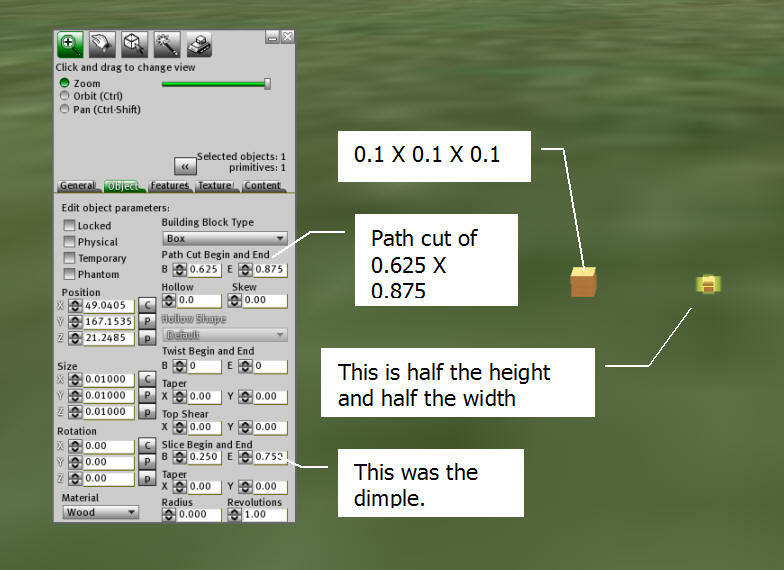 Now change the size to 0.010 X 0.010 X 0.010 and you end up with a cube 0.005 on each side! 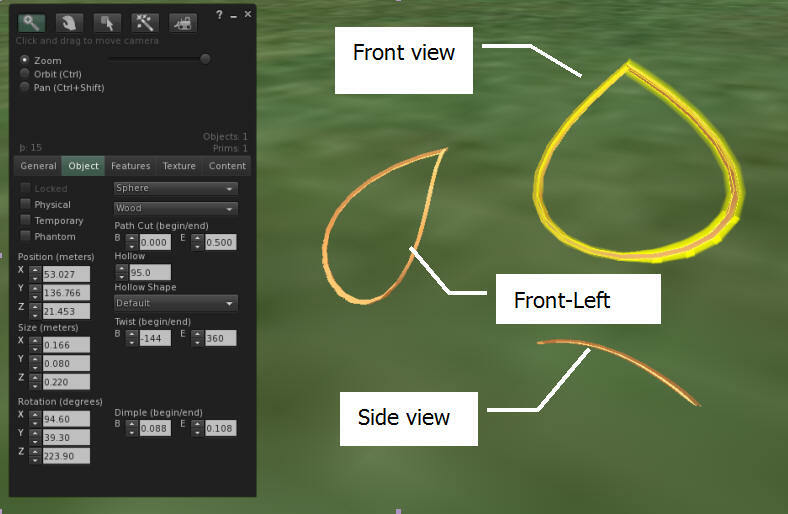 There are other techniques similar to the above that start with other shapes. 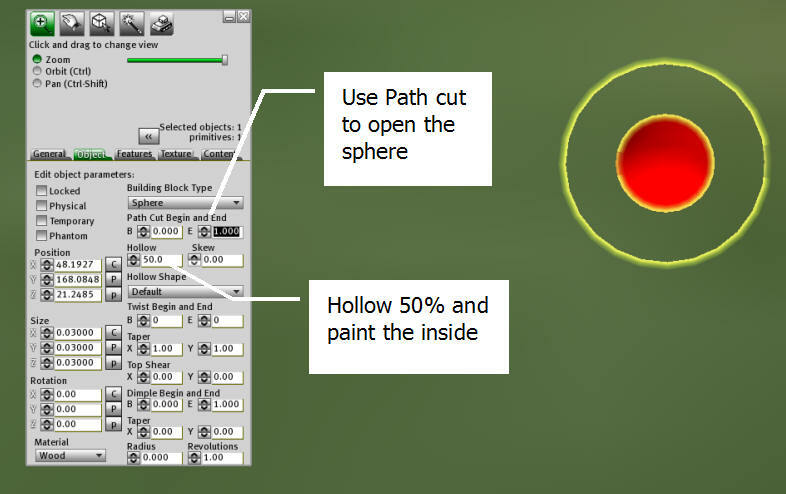 Hollow it, with the hollow shape set to circle or default. Make the outside surface transparent. 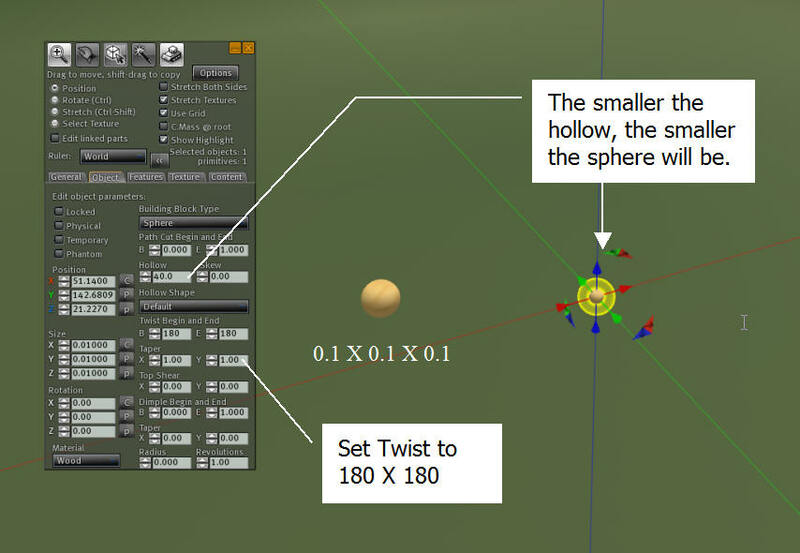 Twist the sphere to 180, 180. A smaller hollow amount produces a smaller sphere. Profile cut it to 0.63, 0.65. Lowering the hollow amount will thicken the ring. Lowering the Y hole size will thin the ring and make the hole in the middle bigger (the ring will be hair thin if you take it down to 0.05). 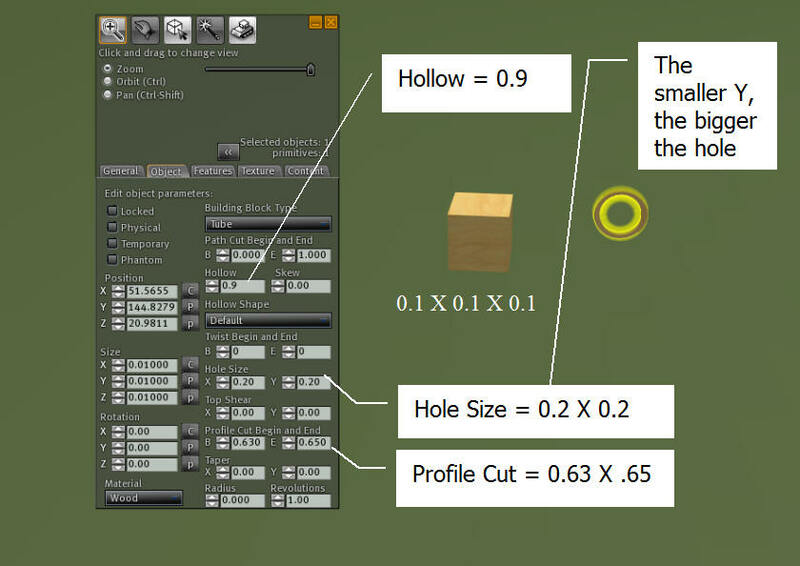 Raising the Y hole size to 0.5 will get rid of the hole entirely. Raising the X hole size will make the ring taller. 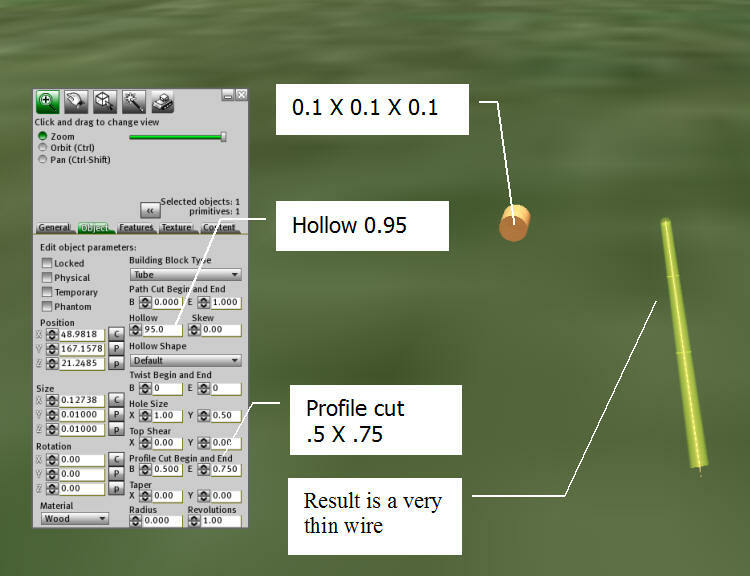 Hole Size = LARGER to reduce wire thickness! 'Stretch' to shrink as required. Path cut as required for curved wire sections. Texture as required. Can texture outer band as a metal for a setting. Size the bead with prim size and Hollow settings. Here we 'torture' a prim to make it do something it normally couldn't do. We now have a very thin box or cylinder, which SHOULD be impossible. Now you can combine these with textures and bling to make any kind of jewelry!